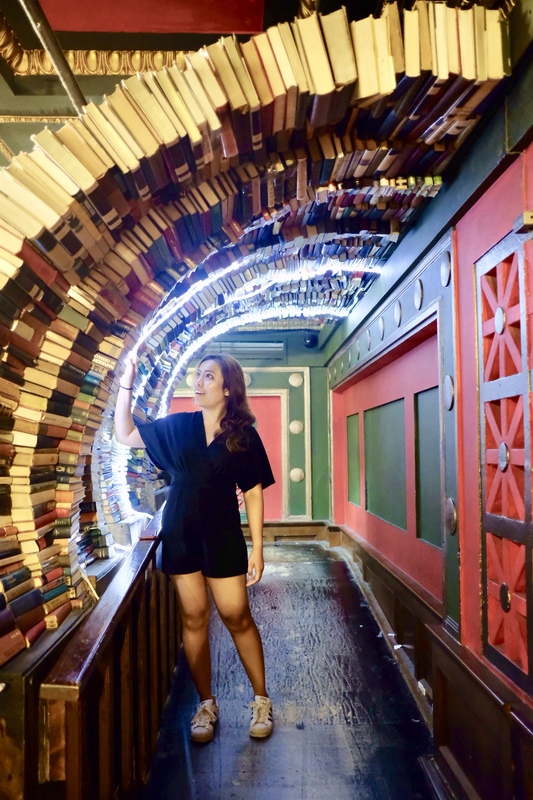 If you love reading and being surrounded by a lot of bookshelves, then visiting a bookshop must always be on your travel agenda, just like mine. 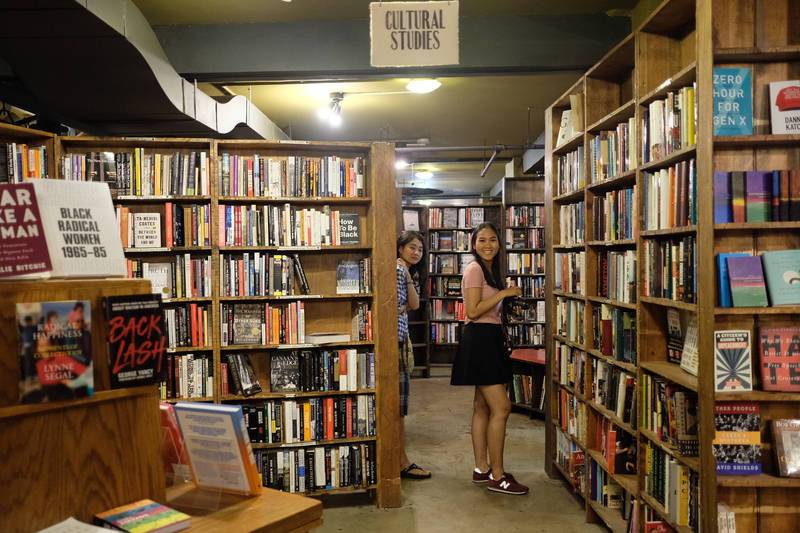 That’s why we put The Last Bookstore on our to-visit list when we had our LA Girls’ Trip. 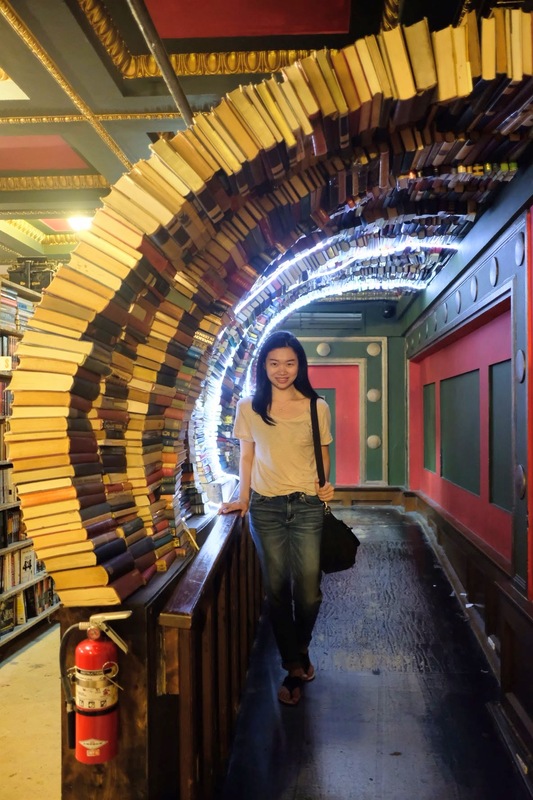 I first knew about the bookstore when Vitri sent me her friend’s Instagram photo of it. 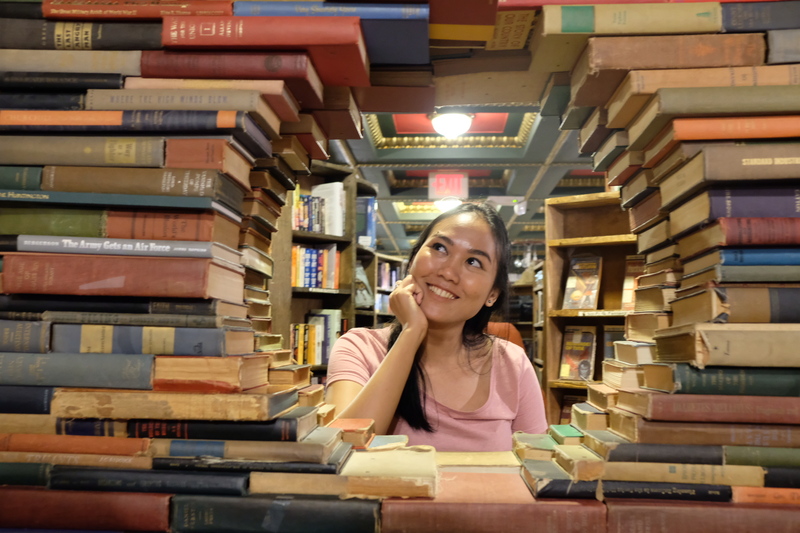 The photo looks intriguing because this bookstore has a vintage ambiance that makes you want to visit out of curiosity. 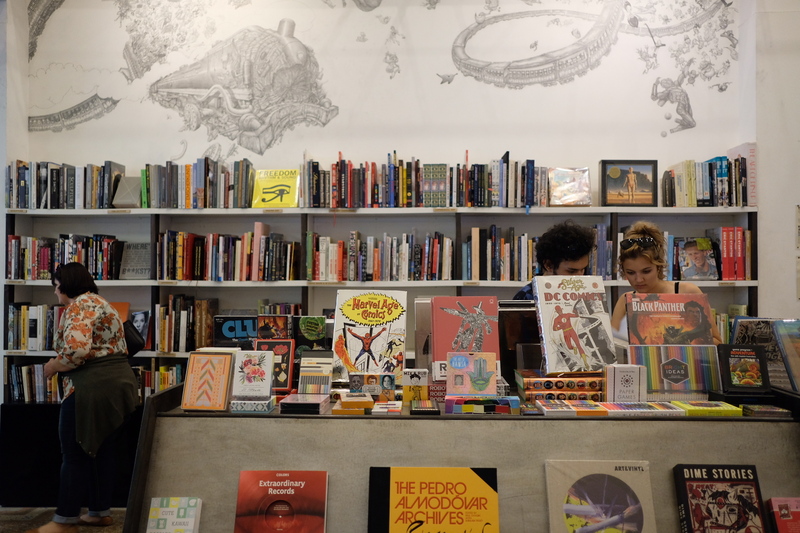 It looks very different than any other bookstores I have visited in the states, and from that moment I saw the photo, I bookmarked it on my memory. 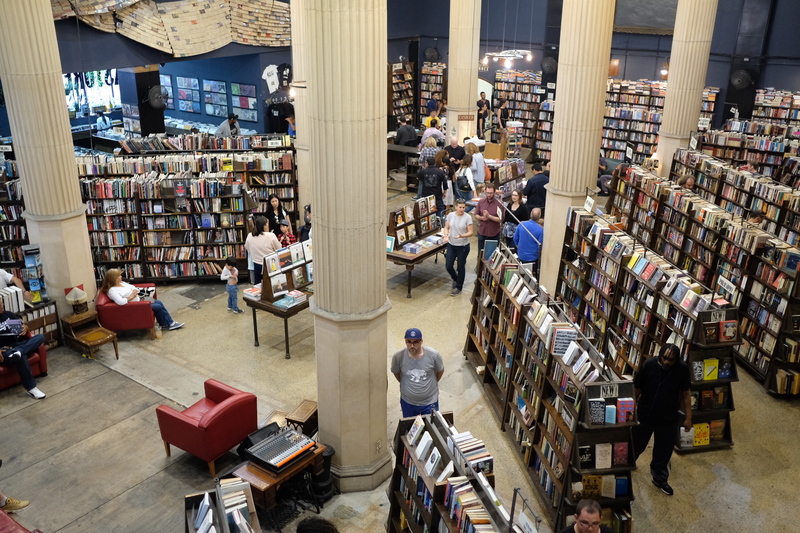 When we finally went there, we were struck by the interior of the bookstore. It was edgy and had this vintage ambiance that drew attraction of hundreds of visitors. The Last Bookstore stands in a 22,000 square feet building that used to be Citizens National Bank, which opened in 1915. The bookstore receives hundreds of books every day, old and new. The old ones they get mainly from collectors and I have seen some rare titles in various genres. It’s very refreshing the many titles that normal bookstores don’t usually have on their bookshelves or displays. 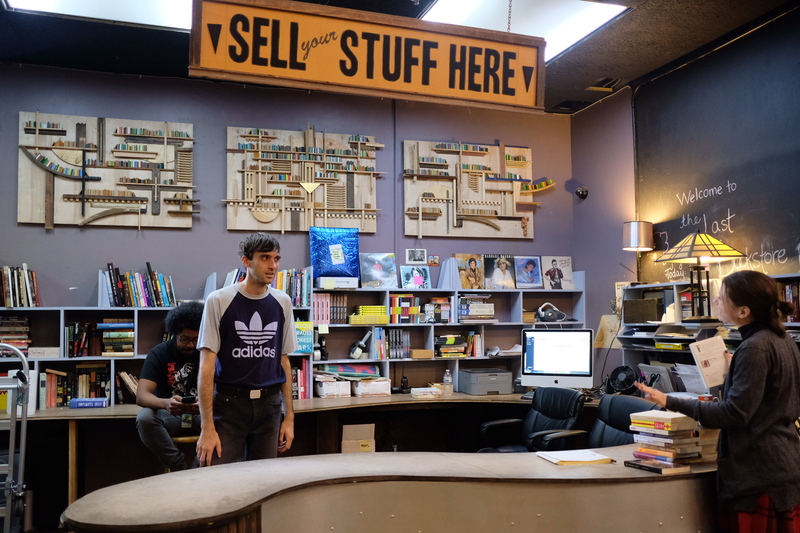 There is a section where you can drop your books to sell. 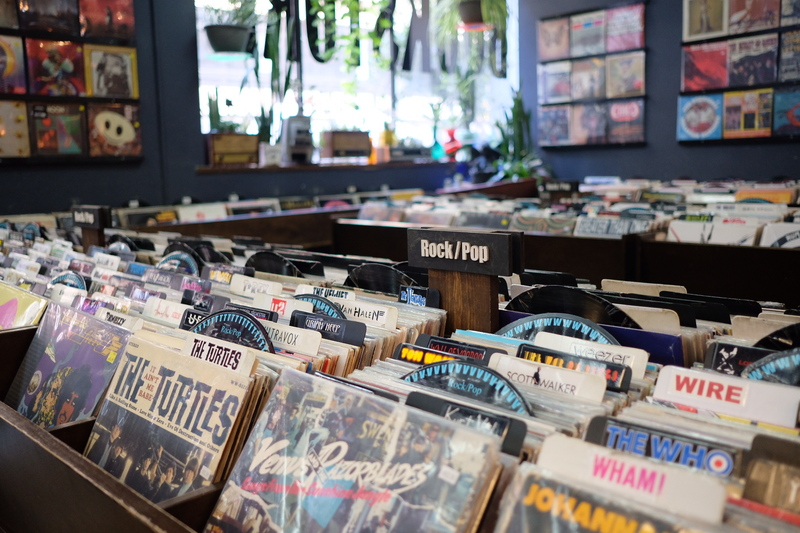 Although most of the books here are second-hand, the conditions are pretty good. I guess the staff chooses the books carefully so buyers can enjoy reading them. And the price of the books are much cheaper here than anywhere else, so you will get a good deal of both rare and new books. 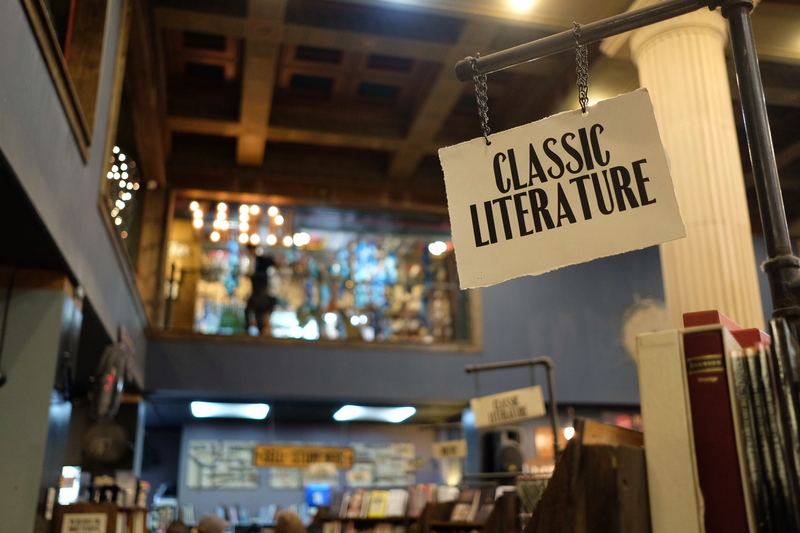 I like the ambiance of the bookstore, it makes you want to spend a long time there just to sit down and read books. 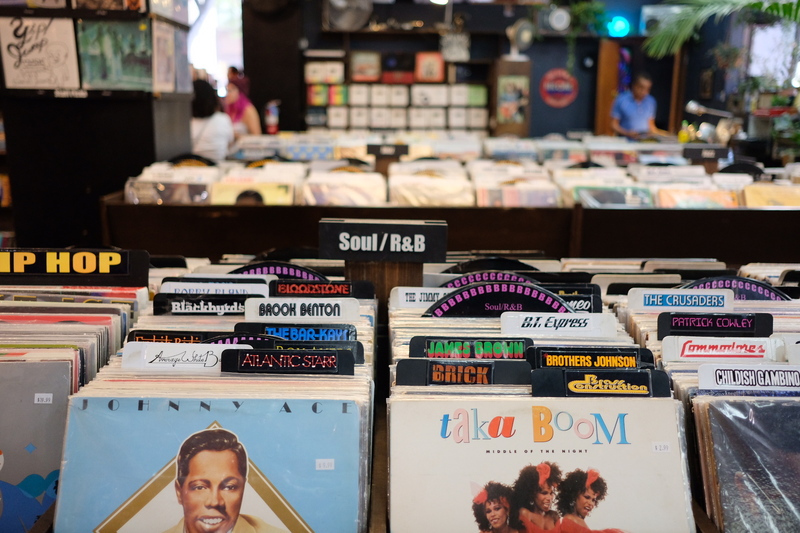 You can simply browse the vast collection in each section. 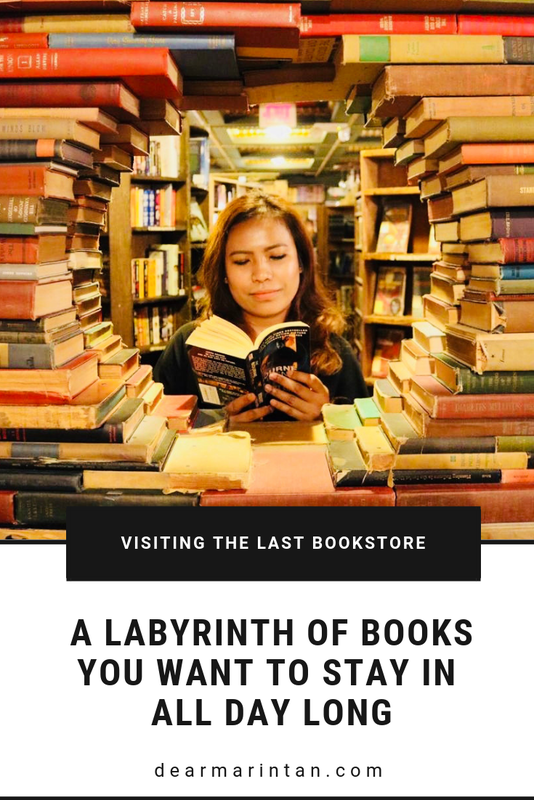 It makes you feel like you’re in a labyrinth of books, but you don’t want to get out of it. Quite an experience, I can say. However, the struggle to enjoy the experience was real. There were a couple of spots that are ideal to take a picture of two. It would look good on Instagram, but you will not be the only one thinking about it. Many others are thinking the same way and it could be annoying to wait in line just for one click. If you want to take pictures, please be thoughtful and think about other visitors, especially those who just want to read books. Don’t spend too much time on the same spot, because it will block the way in and out. Don’t ask too much if you’re asking someone to take pictures of you. Also, don’t force someone to move from where they are standing or sitting just because you don’t want them to be in your photo. That’s rude and annoying. There are some labels warning visitors not to disturb other visitors. You might even be asked to leave if your photo session makes other people uncomfortable. 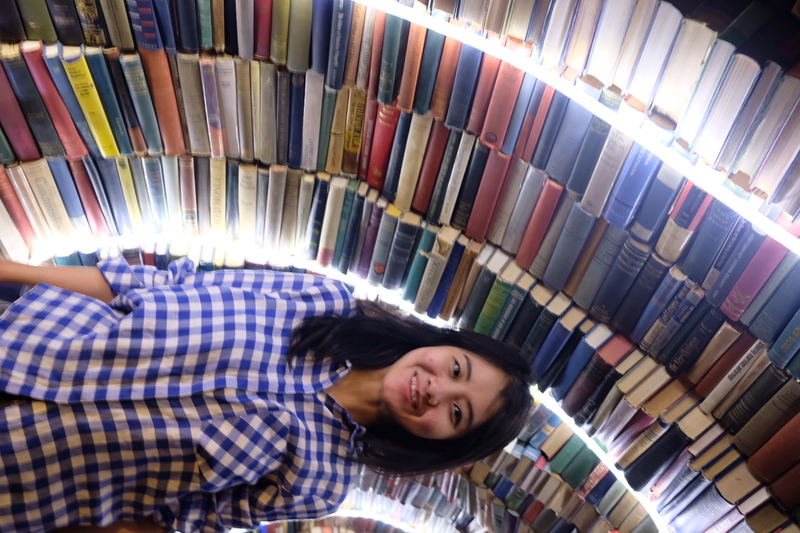 So, bear in mind that The Last Bookstore was founded mainly for people to buy and read books, not for photo-shooting. We managed to get some snaps from the bookstore without disturbing others. And we were having fun browsing for books there. 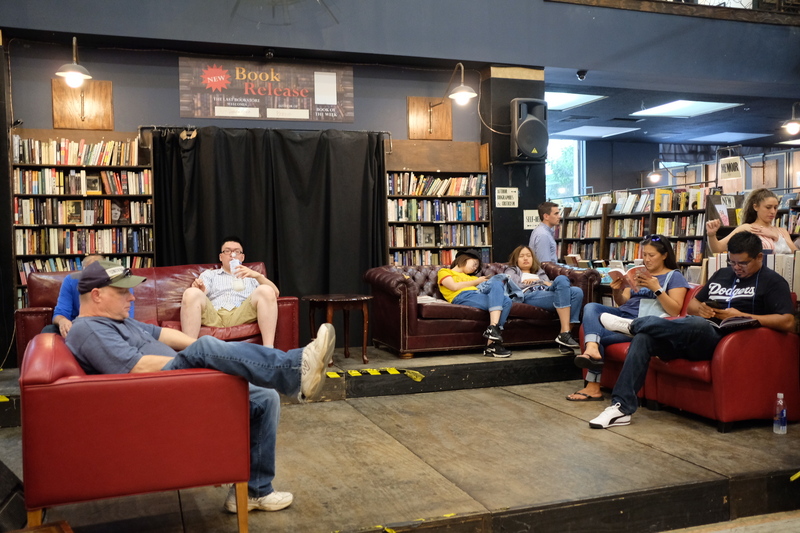 I suggest you come early when the bookstore just opens in order to get better photos and be able to browse the books comfortably before the crowds grow bigger. 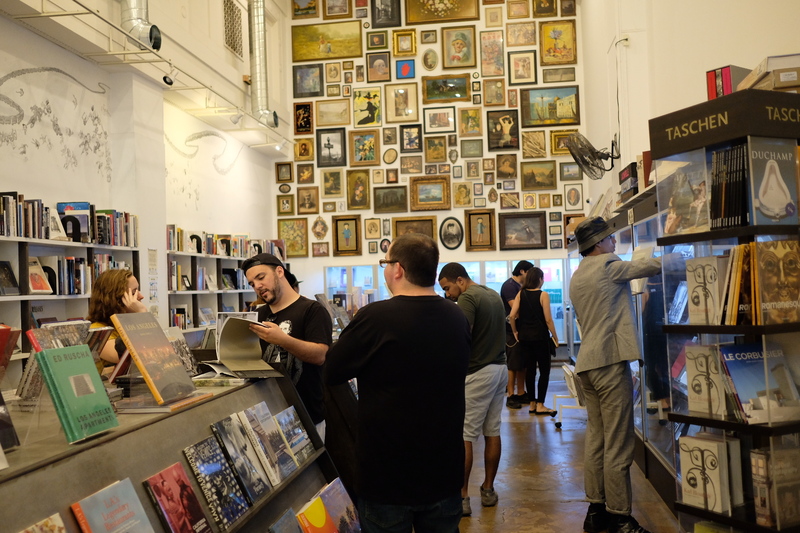 The Last Bookstore is worth-visiting and I hope it inspires similar bookstores to open in LA or other states. Hopefully, I can visit it again in the future. Thank you, Josh Spencer, for opening a beautiful bookstore like this one!